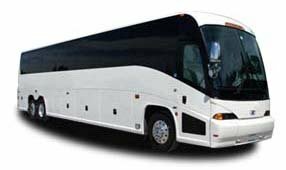 From casino crawls to corporate conferences, the 20-passenger minibus is equipped to comfortably take you anywhere you need to go in Vegas. With extra legroom and storage space above the seats, you’ll have plenty of room to stretch out and relax during your trip. We only work with professional, experienced drivers who have a proven track record of arriving on time. When you call us at 702-780-0886, our reservation specialists will provide you with a free quote and will be happy to answer any questions you may have. Our phone lines are open 24/7 for reservations, so contact us anytime to start planning your upcoming trip!